Mojo Yamaha is a motorcycle racing team focused on classic Yamaha’s. We are fielding six riders for the 2019 International Challenge event at Phillip Island Classic in Australia in January 2019. This event pits a US team of top riders against teams from Australia and New Zealand. Amongst others, the US team will include Josh Hayes, Jason Pridmore, Barrett Long, Steve Rapp, Larry Pegram, Michael Gilbert and Dave Crussell. The Mojo Yamaha riders run monster Formula One racers based on the Yamaha FJ1100 engine pushed out to nearly 1300cc and the legendary 2-stroke, the Yamaha TZ750. All bikes are housed in frames produced by the renown builder Denis Curtis at CMR Racing. The build and testing of the bikes is in progress, see more on the Build/Prep page. Josh Hayes, native of Gulfport Mississippi, born in 1974, was somewhat of a late bloomer, with his love of motorcycle racing not starting until he was in his teens. Most of the newer generation of riders start when they are young/children, Hayes was much older when he learned to love the sport. His road racing career began in earnest at age 19, when he won his first three WERA titles in 1994 aboard a self-tuned Honda CBR600F2. He turned pro in 1996 when he won the WERA National Endurance Series Heavyweight Superstock Championship with Airport Racing. 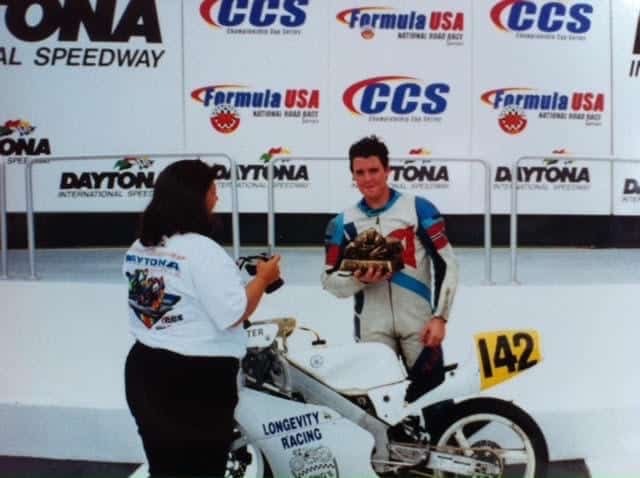 Hayes won the 1999 750 SuperSport race at Daytona and finished third for the season in the Formula Extreme class, all on Suzuki GSX-R motorcycles. In 2006, following Hurricane Katrina, Josh met his wife, Melissa Paris, when they were both involved in a special event for Hurricane Katrina in California. Melissa also happens to be a motorcycle racer who currently competes in MotoAmerica with the MP13 Racing team, in the Stock 1000 class. 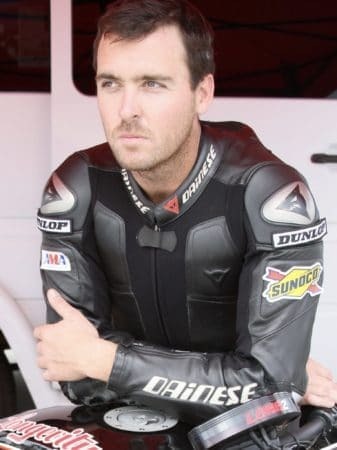 Hayes went on to earn four AMA Superbike Championships (2010, 2011, 2012, 2014) and he scored his 61-career Superbike wins, ranking him second on the all-time wins list. He was also a fan favorite and a guy who goes above and beyond to do everything he could to promote road racing in America. With his 61 Superbike wins, Hayes ranks second only to Mat Mladin on the all-time list. Hayes has 13 MotoAmerica Superbike wins, including 10 in the debut season of MotoAmerica, a mark that was matched this year by 2017 MotoAmerica Superbike Champion Toni Elias. Hayes also has 83 career wins across all classes, which places him second on the all-time list – just three short of Miguel Duhamel’s 86 victories. Barrett Long comes from a racing and motorcycling family. His family owns Long's Motorcycles, the oldest motorcycle shop in Miami. He is a third generation racer following in the footsteps of his father and grandfather. John Long, his father, was a professional racer competing in AMA events and representing the US team in the Match races against the UK in the 80’s. Barrett began racing at an early stage on mini bikes. Following his father, Barrett then progressed onto two strokes, first in the 125cc category then onto 250’s. He won his first CCS ROC championship in 2001 in the 125cc classes and has won championship almost every year since then. He competed as a wild card in two FIM 250 GP event at Indianapolis is 2008 and 2009. Barrett currently races in the MotoAmerica Superstock 1000 Championship aboard a Ducati Panigale. Barrett first attended the Phillip Island Classic 2017 and then came back for more in 2018. In 2017 he finished 19th overall in the International Challenge and 2nd in Forgotten Era Minor after missing the first race and winning the next three. He improved to 15th overall in the International Challenge in 2018. Barrett is excited about going to the classic again in 2019. He said “I can’t wait to get back to Phillip Island again, this is really tough racing against an all-star set of riders both young and old”. Jason Pridmore began his motorcycle career on a tiny Italian motorcycle, a 50cc Mini-Bambini, bought by his dad Reg, before he was born. By the time he was two, it was not unusual to see him putting around their home in Santa Barbara. "My whole life has been sort of a training session," Jason said. "From the first time I sat on my Mini-Bambini, I wanted to go fast. I still do." The son of three-time AMA Superbike Champion Reg Pridmore, Jason made his AMA Pro debut in 1990. He gained recognition when he defeated Scott Russell in the 750cc Supersport race at Brainerd in 1992. He finished second to Russell in that Championship. 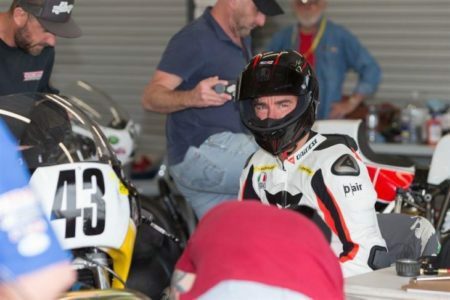 Jason had achieved 21 AMA National wins, two AMA championships, two World Endurance titles, a brief stint in World Superbike, and a world Supersport podium before retiring from regular competition in 2006. He continued to compete internationally in the World Endurance Championship, which his team won in 2013. In 2018 Jason made his first appearance in the Phillip Island Classic with Team USA aboard Ralph Hudson's CMR FJ1300. “We are so pleased to have Jason join the team. A big thanks to Ralph Hudson, 2017 FIM Champion Speed Racer and long-time Team USA member, for loaning his bike to Jason. Our investment in bikes over the last 3 years is really paying off and we are attracting some very talented riders to the team.” said Team USA Captain Dave Crussell. The campaign in 2018 ended in disappointment with Pridmore unable to participate in the final race because of mechanical problems. Jason will be returning to the Phillip Island Classic in 2019 with the Mojo Yamaha Team, again competing in the international challenge as part of Team USA. Michael Gilbert is one part motojournalist and the rest full-time racer. The Californian has competed in the MotoAmerica Superstock 600 and Supersport Championships over the last four year, racking up several victories and pole positions. When he’s not gridding up, he spends his time as the Road Test Editor of Cycle World magazine, stealing the keys to anything with two wheels. The 2019 Island Classic? It’s his first attempt, but he’s ready as ever. Gilbert spun laps at Phillip Island two years ago, and afterwards going as far as calling it his favorite track to date. What’s really drawing the American to the Classic is the uniqueness of the event. World-class riders on iconic machinery sits at the top of the list. There’s nothing else like it. Larry Pegram was born in Ohio and started his professional racing career in 1989 when he was 16. Larry grew up racing on the dirt tracks of the USA before entering motorcycle roadracing. 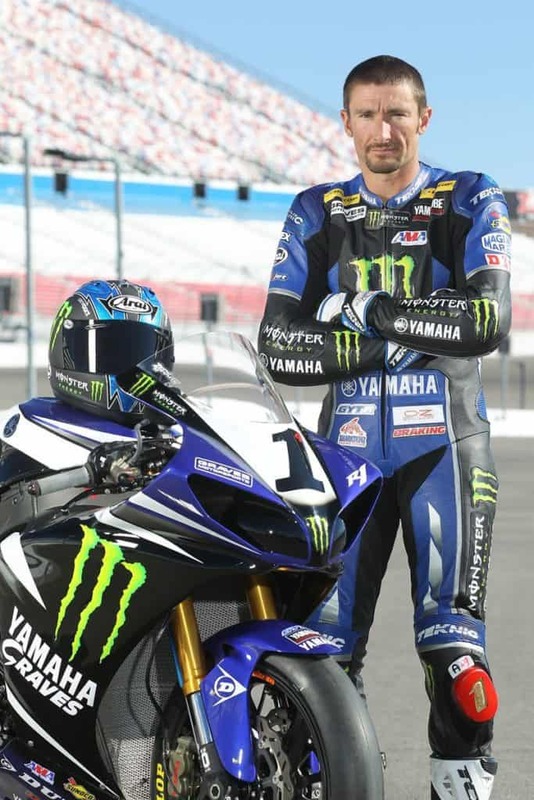 He is one of five riders alive to have won both in AMA Superbike highest level and AMA Flat Track highest level. 2017 and 2018 Competed in Lucas Off Road truck Series. 2017 On air announcer for American Flat Track series TV. Steve Rapp started riding motorcycles in 1996 when he was 18 years old, and and quickly began racing, after watching a buddy race in California. Before long he was a legend at Willow Springs Raceway and in 1997 he became a full time competitor in the AMA Pro Road Racing series. In 1998, Rapp’s aggressive riding style placed him second overall in the 750 Superstock Championship. During the years following, Rapp was unable to achieve the same success in a variety of other classes including AMA Superbike, Formula Xtreme, 1000 Superstock and 600 Supersport. 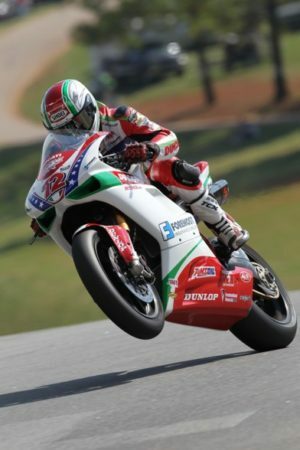 In 2007, Rapp made a huge turnaround and won the Daytona 200 in the Formula Extreme Series. Riding a Kawasaki, Rapp also competed in the AMA Supersport Championship, taking 4th overall after taking podiums at Barber and Laguna Seca. The 2008 season was another strong season, and in 2009, Rapp competed for the first time in the Daytona SportBike series on a Yamaha. At the age of 37, Rapp proved he still had what it takes, and claimed third place on two separate occasions at Infineon and Barber. Rapp returned to Daytona SportBike in 2010 with the Latus Ducati team. In one of his best seasons to date Rapp finished fourth in the championship after earning a total of seven podiums throughout the season. Despite his strong results, however, the title has eluded Rapp so far in his 13 years of AMA racing. Rapp’s first AMA season on the BMW S 1000 RR was in 2011, when he raced for San Diego BMW Motorsports. When Steve Scheibe started his Scheibe Racing Project with the BMW S 1000 RR in the 2015 season, Rapp was enthusiastic from the word go. “I knew Steve from when he was running the Harley Davidson superbike programme, and I knew he had a lot of experience and knew how to run a professional team,” he said. “I knew that we wouldn’t have the budget like he used to but it’s something we can work towards, and I felt like we could be successful together.” In addition to racing, Steve has been flying as a commercial airline pilot with Virgin America on US connections and to Mexico since 2011. Steve has continued racing, and won the Harley Davidson XR1200 Championship in 2013. 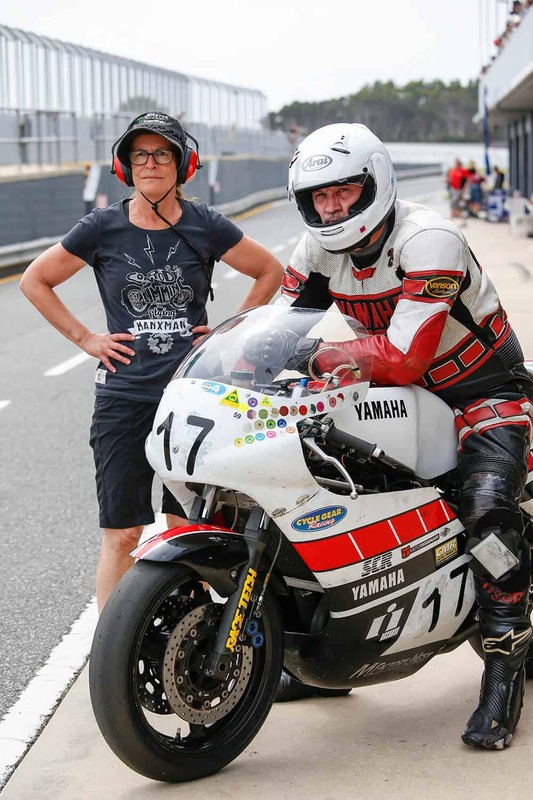 Steve is looking forward to climbing aboard one of the Mojo Yamaha team bikes at the Thunder Hill test and tune, October 19, in preparation for the 2019 Phillip Island Classic International Challenge. And Steve looks great in yellow! Dave has nearly 20 years of motorcycle racing. He initially started racing in his 30s to reduce his speeding tickets on public roads, Dave likes speed. With a long history with Kawasaki 2 strokes, Dave began racing 500 and 750cc triples, the infamous H1 and H2 Widow Makers. He began racing with AFM and AHRMA and then quickly became enthralled with other events outside of the USA. These events take place in Australia/Phillip Island and Canada/Mosport. Over his career in AFM and AHRMA racing Dave has won more than 25 National Championships. These included Formula 250, Formula 500, Formula Vintage, Superbike Heavyweight and Open GP. In one year he took all 5 of these champions at the same time. He is currently the lap record holder in two classes at Mosport, P2-Heavyweight on his H2R and P2-Lightweight on his Kawasaki Bighorn powered roadracer. In 2012 Dave raced the Isle of Man and which has been a regular event for him running the Formula 1 class of the Classic TT. After a long period of focus on Kawasakis Dave discovered the Yamaha TZ750 which birthed Mojo Yamaha. The Isle of Man on a TZ750 is his perfect combination, and if you doubt that just check out his onboard video below! Dave has raced at the Phillip Island Classic starting in 2001 and was instrumental in forming the US team. He has recruited many riders over the last 5 years for the International Challenge team. He has also provided the foundation for many other riders to ship their bikes to Australia and enjoy this fantastic event. Crussell started preparing motorcycles for other riders, first just riding spare bikes and is now pleased to bring six riders to the event, including himself in 2019.